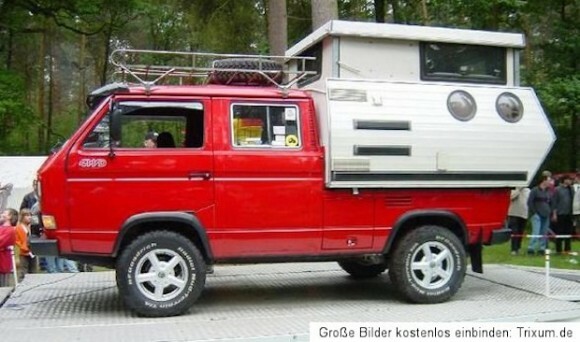 This is a very strange looking pop top camper for a VW Doka. 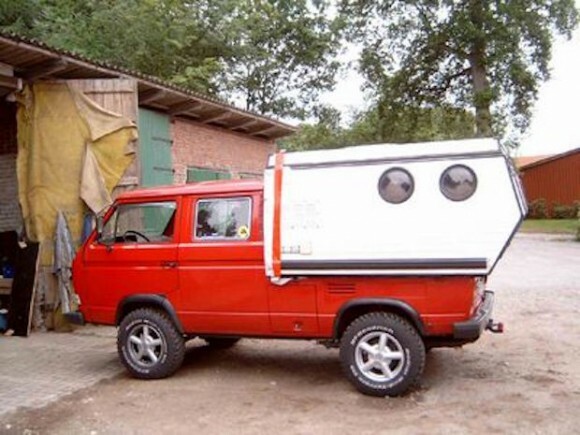 It appears to have 2 port holes on the side of the camper. 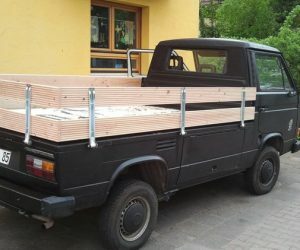 The caption over at the Samba reads, “VW T3 Doka Road Ranger Camping Aufbau TriStar Syncro Hardtop Alu Koffer Tischer.” The truck looks like it also includes a large roof rack and a sun visor. 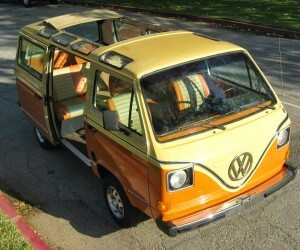 Click through for a picture of a similar model with the pop top down.